EU Code Week is a grass-roots movement that celebrates creativity, problem solving and collaboration through programming and other tech activities. The idea is to make programming more visible, to show young, adults and elderly how you bring ideas to life with code, to demystify these skills and bring motivated people together to learn. 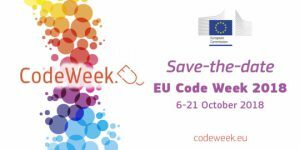 EU Code Week is run by volunteers. 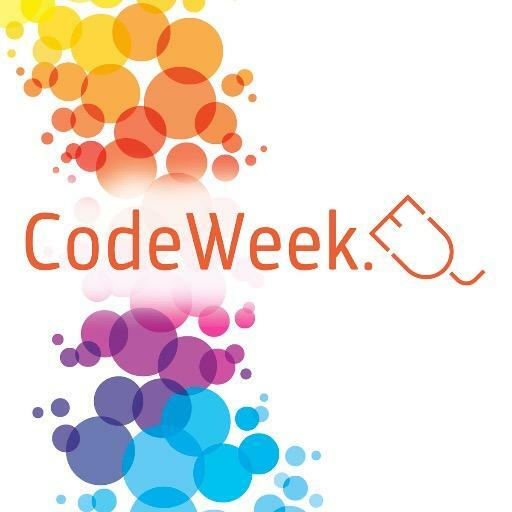 One, or several, Code Week Ambassadors coordinate the initiative in their countries, but everyone can organise their own activity and add it to the codeweek.eu map. 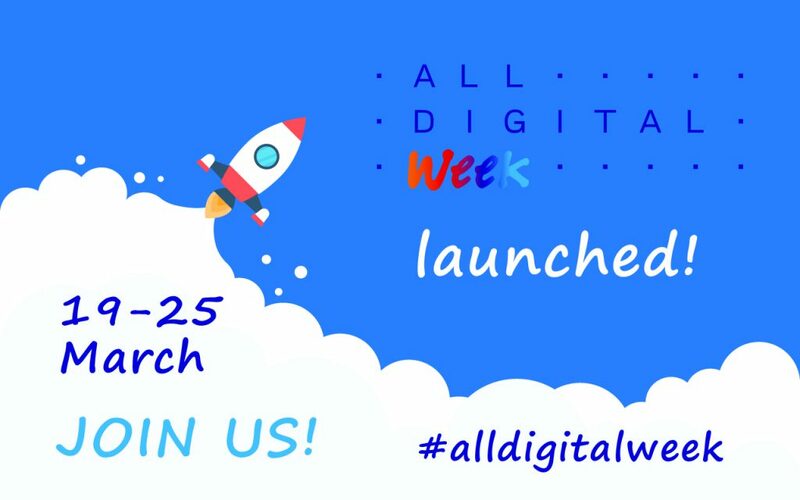 EU Code Week was launched in 2013 by the Young Advisors for the Digital Agenda Europe. The European Commission supports EU Code Week as part of its strategy for a Digital Single Market. In the Digital Education Action Plan the Commission especially encourages schools to join the initiative. The goal is to reach 50% of all schools in Europe by 2020. It’s about those of you who are already helping these dreams come true. Actually, it’s about all of us. Our future. Technology is shaping our lives, but we’re letting a minority decide what and how we use it for. We can do better than just sharing and liking stuff. We can bring our crazy ideas to life, build things that will bring joy to others. It’s never been easier to make your own app, build your own robot, or invent flying cars, why not! It’s not an easy journey, but it’s a journey full of creative challenges, a supportive community, and tons of fun. Are you ready to accept the challenge and become a maker? Coding also helps develop competences such as computational thinking,problem solving, creativity and teamwork, really good skills for all walks of life.